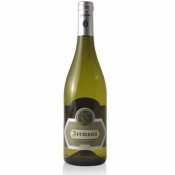 All grapes that give life to this wine are harvested together when the Chardonnay gets the ideal maturation. The remaining grapes instead will allow to reach a congenial balance between acidity and aroma. This wine is fermented in new barriques, this process gives rise to a decidedly harmonious product. After the alcoholic fermentation, a further (even if partial) malolactic fermentation takes place. Yeast aging and finally a battonage complete the process. 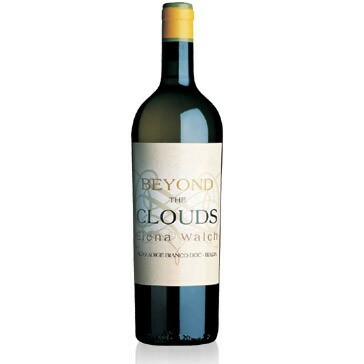 A really fine wine, fresh and pronounced this Beyond the Clouds. The intensely bright yellow color announce an aroma and a fruity scent but also a hint of vanilla and a hint of wood. 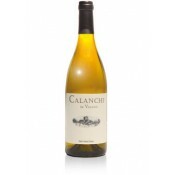 Excellent with pasta dishes rich in flavor, fish, cheese and white meat dishes. Serve slightly chilled at 11-13°C. There is no need to use a decanter for best enjoying this product. 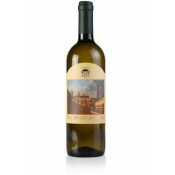 If well preserved it can enhance all of its potentiality up to 3-8 years after the vintage. It is advisable to keep the bottles horizontally in a dark, cool environment, with constant humidity and temperature.